IF he wants to spend his last days as a councillor counting Sarah Hayward’s tweets, that’s up to him. This is the line from irritated Labour members if you ask them about Lib Dem Cantelowes Paul Braithwaite’s unofficial campaign to get the council leader to reform how she tackles social media. You will remember Paul brought up his annoyance with the council leader’s machine-gun pace tweeting at a recent full council meeting, urging her to set up a separate account for her council work, so he did not have to see her views on television, films and Arsenal clogging up his computer screen. 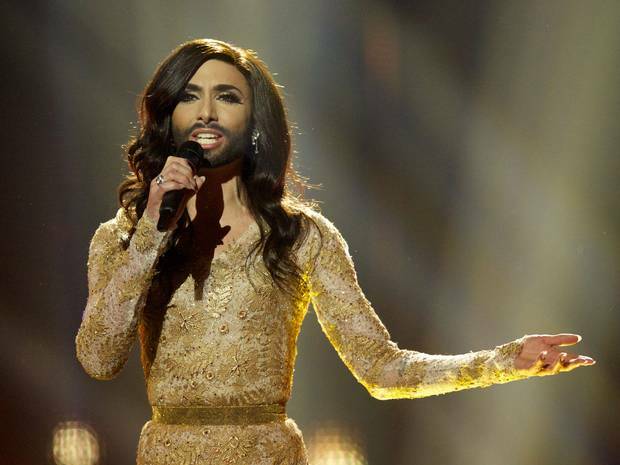 She said ‘no’ to that and the itchy irritation came to a fresh peak on Saturday night when Sarah, unashamedly, racked up more than 40 tweets about the Eurovision song contest. Perhaps aware of the potential for yawning out her thousands of followers, Sarah, among the top 5 percent heaviest Twitter users in the world with an average of 12 tweets per day, tweeted later only three had clicked ‘unfollow’ by the time Austria had been crowned champs. But it was too late – ithad been all too much for Paul, who tapped out a tweet of his own. See below. No wonder, he is a sort of ace of spades in Labour’s council election deck of cards they want to claim at next week’s polls. 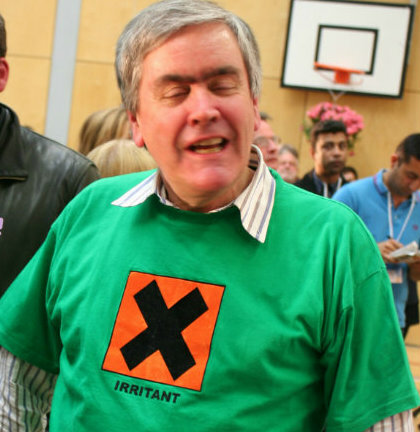 At the last boroughwide count he spelt out how Labour often feel about him by pointedly wearing a t-shirt which said simply ‘irritant’ on the front. This time around, he is one of the party’s chief targets. Can anyone who is compelled to tweet 40 times in and about the Eurovision Song Contest be a fit and proper person to lead Camden Council?? YOU DON’T HAVE TO FOLLOW SARAH OR LOOK AT THE TWEETS, PAUL, YOU HAVE A CHOICE.